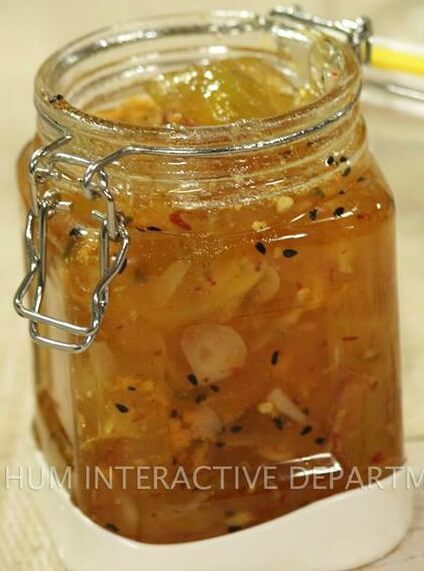 Nauratan Chutney is a tangy condiment made with raw mangoes. You can serve it with various meals. 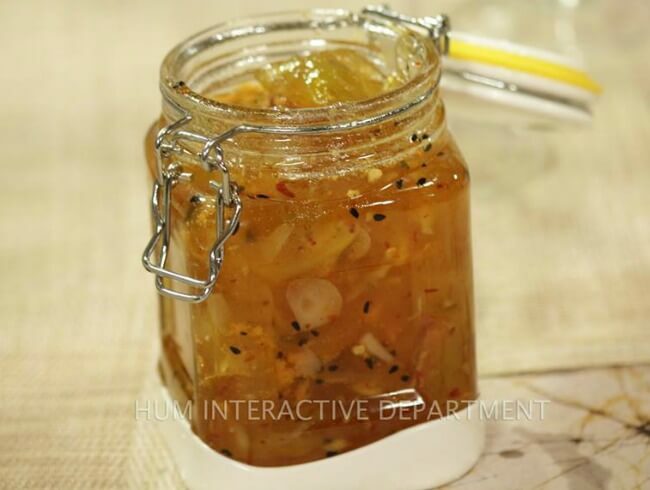 Follow Chef Shireen Anwar recipe for an ultimate taste. Boil raw mangoes with salt until soft. Remove the water and place raw mangoes in a saucepan, add sugar and cook. When it reaches to boil remove from stove. Heat oil in a frying pan, add almonds, pistachios, raisins, nigella seeds and melon seeds. Fry for a minute. Add this bhagar to the chutney. Leave it to cool. Add vinegar as a preservative. Keep in an air tight bottle.